This week's Tuesdays with Dorie (TWD) recipe was chosen by Hindy of Bubie’s Little Baker: Translucent Maple Tuiles. I was honestly a bit intimidated about these because they look so beautiful and delicate and in the book. When I read the recipe and realized how quick and easy they are, I decided to give them a try. The dough is simply butter, brown sugar, and maple syrup with just a little bit of flour. It can be made in a matter of minutes but requires a bit of refrigeration so you'll need to plan ahead when making these. Luckily, the dough will also keep in the refrigerator for up to a week, so you can make it ahead of time. My tuiles did not turn out at all! They look more like pringles than translucent tuiles! I think my idea of a small cherry is a little different from Dorie's so my dough balls were a bit too big. So I ended up with cookies that did not spread as much as they should have but luckily only the appearance was affected because the taste was amazing! These tuiles are like part cookie, part candy. Thanks Hindy, for hosting this week. 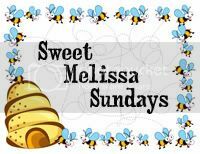 I will definitely be making this again - next time I will be sure to roll out smaller balls of dough so they'll actually get their characteristic honeycomb appearance. If you would like the recipe, you can find it here. - Keep a close eye on these to make sure you don't burn them! Mine were done after a short 4-5 minutes in the oven! - Make sure you make your balls of dough really small, as they spread quite a bit in the oven and a little bit goes a long way. 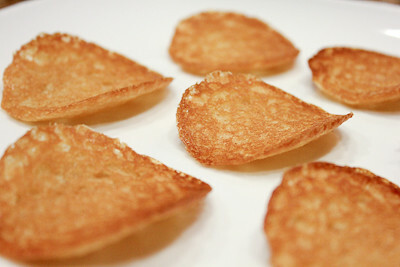 Look how perfectly round your tuiles are. They are unique and beautiful. In this case, thinness isn't everything. Well done! Your tuiles are gorgeous! You make this challenging cookie seem so straightforward. Thank you so much for baking along with me this week! I dunno, I think they look pretty awesome! I never made tuiles before. Absolutely incredible!!! It looks fabulous. 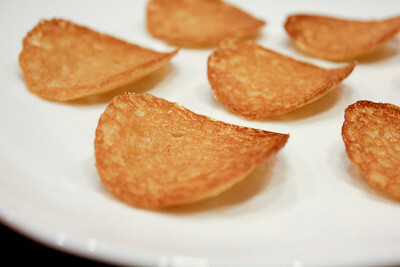 i have never baked tuille with much success, but your pringles shaped tuilles are so perfect and beautiful! ha--i was thinking they resembled pringles too...and that's not necessarily a bad thing!